Perhaps the superb double-spread wide-angled photograph of the Australian guitarist Rupert Boyd standing with his back towards the vastness of the Grand Canyon, holding his guitar flight case in anticipation, metaphorically prepares the listener for this, his third album, which features a surprisingly wide-ranging compendium of music. This image appears halfway through a detailed CD booklet that conveys much information and some interesting anecdotes about the listed composers. Astor Piazzolla’s Otono Porteno is played here with considerable contrast between the immediacy of its slightly tense rhythmic opening and the subsequent quieter passages. It is unusual to find John Dowland’s Fantasie with its familiar Renaissance lute contrapuntal motifs on the same album as Leo Brouwer’s Tres Apuntes, featuring the contemporary Cuban composer’s early work from the beginning of his avant-garde period. Mr Boyd, however, is superbly capable of straddling music across the centuries, and interprets the diversity of his chosen repertoire with ease. Spanish composer Manuel de Falla’s Dance of the Miller, familiar to most guitarists through the rather inadequate published version by Sigfried Behrend, is played here from a completely different transcription that far more effectively captures the colour of the original orchestral score. Even Miguel Llobet’s simple arrangement of a Catalan folk song, El Noi de la Mare, is presented with substantial grace. Brazilian composer Heitor Villa Lobos is represented with a consistent reading of his ninth Etude. Scottish guitarist David Russell’s transcriptions of Celtic songs, four in number, make engrossing listening. Mr Boyd delivers the first of these, Loch Level Castle, with almost humorous aplomb, infusing just a bit of the rollicking underlying triplet feeling which I’ve missed in renditions of similar folk music by other guitarists. The idiomatic clarity continues through the set, concluding with a stately, sober Lament. I was particularly curious about the composers that I hadn’t heard before. While Byron Yasqui’s Fantasy on a Hawaiian Lullaby is played with authority, the music itself is a little too deliberate and seems to lack depth, especially for a modern composition. On the other hand, Luigi Legnani’s Fantasia in A Minor, a much older piece, offers much to listen to, particularly because of Mr Boyd’s controlled and evocative reading. The same control is evident in his expression of Fantasia on Verdi’s La Traviata by Julian Arcas. Aloys Fornerod’s Prelude is a short and yet exquisite piece, with its subtle dissonances brought across with intriguing balance. The highlights of the entire album for me are two modern pieces by the Australian composer Philip Houghton. 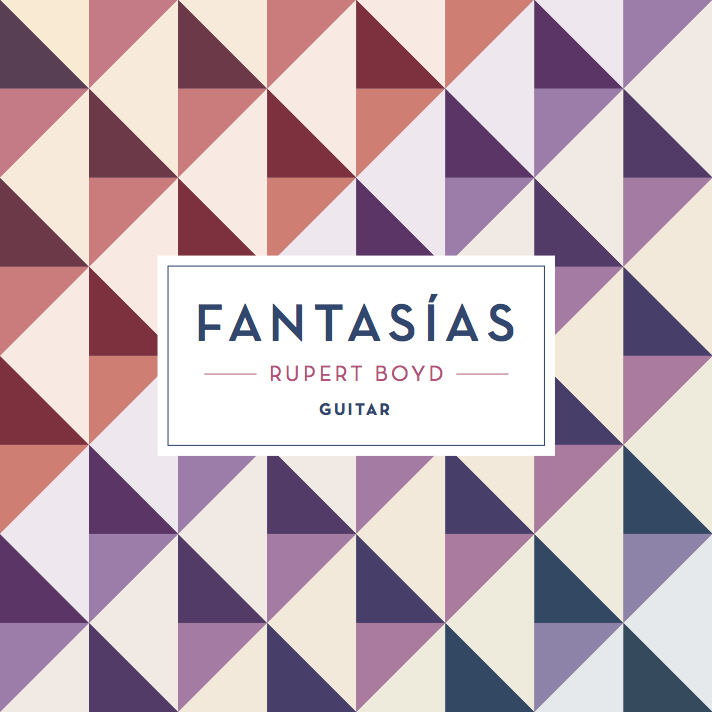 Mr Boyd is in his element here: there is a visual evocativeness in this music that belies the limitations of the guitar, and his evident absorption in the texture is infectious. The guitar used here is an Australian-made Greg Smallman, the luthier made famous by his long association with John Williams. The recording strikes a good balance between warmth and the crystalline tones that Smallman guitars are known for.